Here we are at the start of a new year. The Christmas season went by way to fast but that's how it is when paint right up to the last minute. My ornaments sold very well, it's so nice to know that people like your work and want to display it in their homes. But with Christmas behind me now is the time to clean my studio and get ready to paint for the spring and summer season. I've emptied out the closet and all the drawers in here and gone through everything to organize it. It's amazing the things you'll find when you do that, surfaces you forgot you bought last winter and all the odds and ends I use for different projects. I go through all my bottles of paint to make sure I have a full stock of what I'll need when I get back to painting. There are those few go to colors that I seem to use on almost every project I paint, sometimes I get into a rut have to make myself step out of my comfort zone and dust off a few colors and incorporate them into a design. 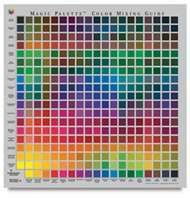 I have a color mix chart now and that comes in very handy because it never fails you'll start to work on a design and sure enough you'll be out of a color of maybe not have it at all, that color mixing chart has saved me from making a run to the store more then once and where I live there is no craft store down on the corner. One thing I'm working on is making my own color chart. I have some old business cards that I'm not using anymore so I'm painting the colors on the cards, I use the color straight from the bottle then I mix the color just as I would use it to highlight and paint that on one end of the the card the other end I use what I would normally shade that color with. Once the paint is dry I write the color name and highlight and shade color on the back of the card. You can store these cards in the clear baseball card protectors and keep them in a folder or you can use a hole punch and put them on a ring to keep on your work table and another thing if you have to mix a certain color for something, paint that on a card and write what you used on the back so you can refer back to it at a later date. This sounds like a lot of work but it goes pretty quick and comes in very handy if you are painting with a friend and they want to know what you mixed to get the color. I'm finding it get harder to remember what I've mixed after a few months. You can even make a note of the project you used the color for. It's kinda like painting post-it- notes...LOL and believe me I need all the help I can get when it's time to remember something. During these dreary winter days get out some colors and brighten things up for a while, color is good for the soul. I'm also working on the web site for the Craft Guild Shop it's starting to come together, only a few more things to do and we'll have a online store. Check us out on Facebook don't forget to "Like" us. Or you can go to our site to meet the members and see what they make, www.craftguildshop.com .